Shifting your office to a new space will always be a difficult task to accomplish. Shifting from one office space to another can also bring down the morale of your staff. Moreover shifting if not done quickly and in an orderly fashion will result in a drop in the productivity and more importantly a drop in the revenue of your firm. The best thing you can do is prepare for it in advance. Prepare at least a couple of months in advance because it will give you a head start and will prevent any sudden issues from showing up. First thing that you should do is contact a good and reliable movers and packers like The Box. You will need to connect with the movers well in advance and make sure that they are capable of doing the job. Begin by first visiting the office space you are going to move in to. Device a floor plan and make sure that everything is measured so that you know that the new or existing office equipment fits well. Also ensure that all connectivity and utility issues are resolved well in advance before shifting in. Just before the day of the relocation, inform staff about the floor plan as to avoid chaos while moving in. Just see to it that your computers are packed in a proper manner to avoid the damages which may take place while relocating. The Box is the best storage solution in Dubai for all needs. The Box helps in shifting in a hassle- free manner. 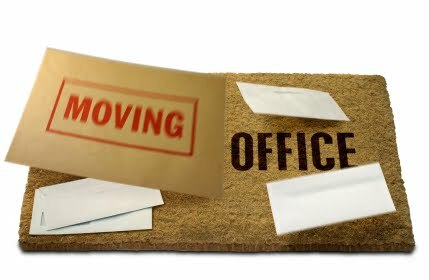 They also offer services like record management and a full team to dismantle pack and shift your office to a new location.